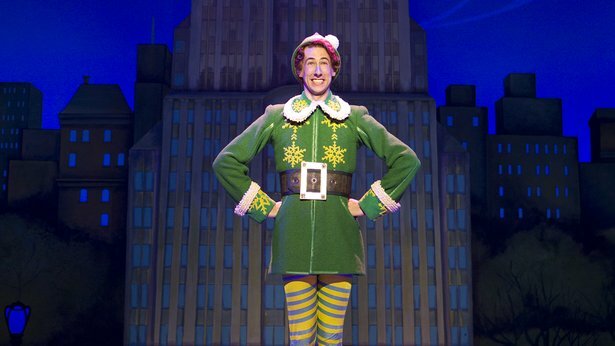 "Elf" will kick off the Broadway Spotlight Series on Nov. 5 and 6. A pair of Christmas favorites, an Old West dance fantasia, a revamped classic musical and a visit to a town called Tuna, Texas: All that and more are on tap for Civic Amarillo's Broadway Spotlight series. The series — which brings in nationally touring companies to the Amarillo Civic Center Complex Auditorium, 401 S. Buchanan St. — features four shows in its main package and two add-ons. "Elf" will open the Civic Amarillo Broadway Spotlight Series on Nov. 5 and 6. 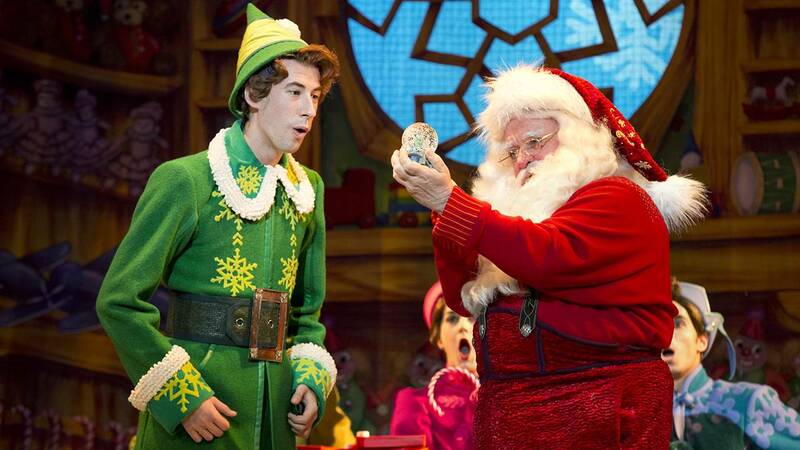 Up first is Elf, a musical adaptation of the 2003 Christmas comedy. It'll be staged Nov. 5 and 6 (a Saturday and Sunday, which is unusual for the series). 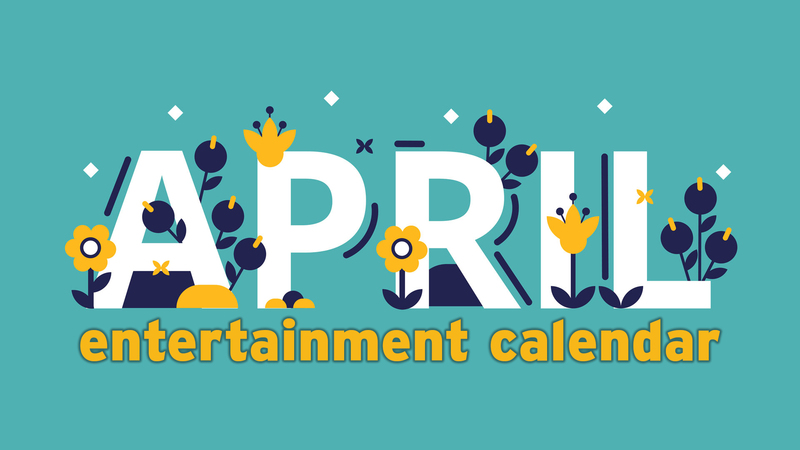 "It does so well on the road, but it has a limited life for each year because they don't do it outside of holiday time," said Randy Cole, marketing director for Celebrity Attractions, the Tulsa-based presenting company that brings the shows to Amarillo and other cities. They settled on early November dates, which put off the start of the Broadway Spotlight season by a month or so but also prevents it from competing with The Nutcracker and other Amarillo holiday shows, Cole said. An additional performance is possible if sales warrant, he said. 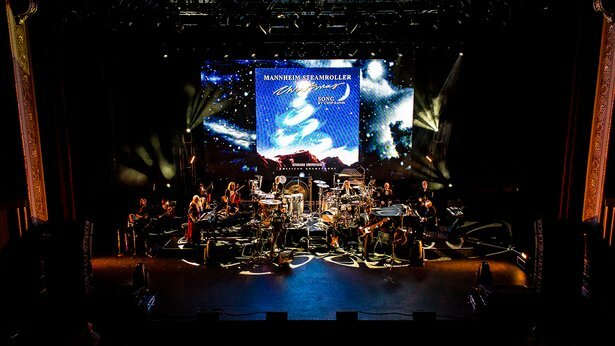 "Mannheim Steamroller Christmas" will return Dec. 27. Continuing in the holiday mood is the season's first add-on performance — a Dec. 27 return of Mannheim Steamroller Christmas, a touring concert version of the popular seasonal album. The show made a long-awaited Amarillo debut last year to a packed house. "It sold out in about three heartbeats," Cole said. Tickets for the concert range from $25 to $65 and are currently on sale only to Broadway Spotlight subscribers. 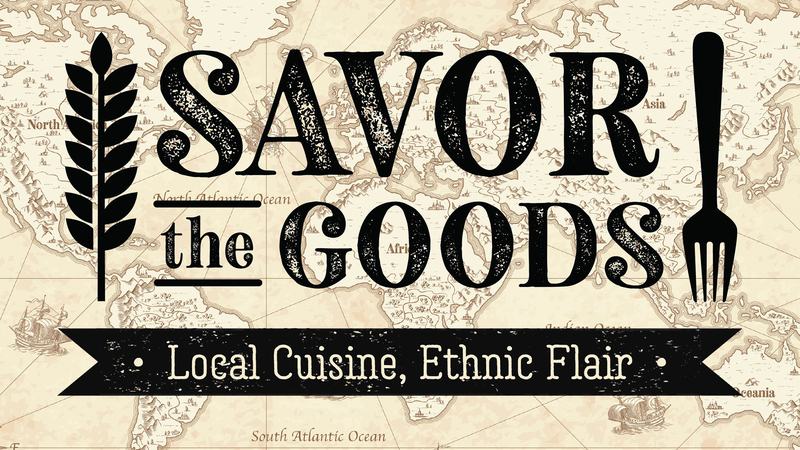 An on-sale date for nonsubscribers has yet to be announced. 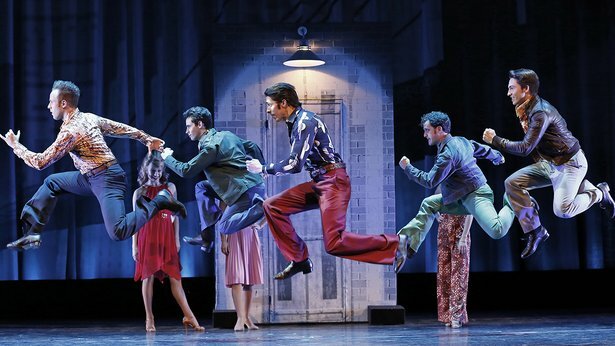 "Saturday Night Fever" will rage Jan. 25 and 26. The season continues Jan. 25 and 26 with another movie adaptation — Saturday Night Fever. Though not particularly successful in its Broadway run, it has found some life on the road, including a recent stop in Lubbock. It replaces a previously announced production of The Will Rogers Follies starring Patrick Cassidy, which was canceled before its tour began. Cerque Eloize's "Saloon" will be staged Feb. 8 and 9. 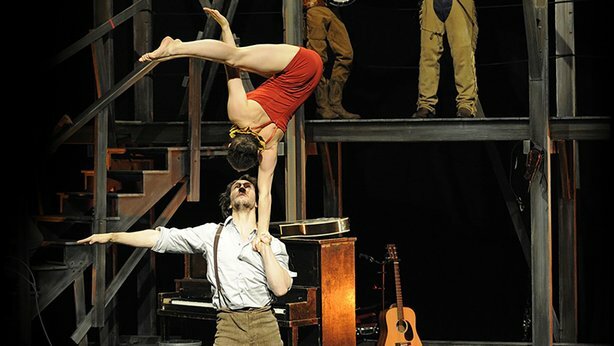 Then comes Cirque Eloize's Saloon, a dance-and-acrobatics filled fantasy set in the Old West. Eloize is a sister company of Cirque du Soliel, Cole said. The show follows the adventures of a piano tuner in a bar filled with chorus girls, gold diggers and scoundrels. "Greater Tuna" will be staged March 23 in the Amarillo Civic Center Auditorium. Up next is the season's second add-on — a new staging of the comedy classic Greater Tuna, directed by the show's co-creator, Jaston Williams, an Olton native. Tickets will go on sale in August to season subscribers and later to nonsubscribers; prices have yet to be announced. "We have to be clear so people don't expect the original cast," Cole said. "This is the maiden voyage for this cast." 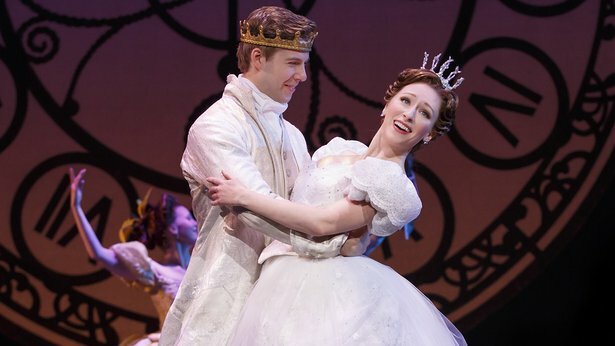 "Cinderella" will close the season June 8 and 9. And the season will close June 8 and 9 (a Thursday and Friday, also unusual) with Cinderella, a recently revamped version of the Rodgers & Hammerstein classic. "The book has been updated (by playwright Douglas Carter Beane for a 2013 Broadway run), and it's really fun," Cole said. "I saw it a couple of years ago in New York, and I went in expecting .... kind of a cotton-candy show, and I walked away really happy. It played to my intellect, and I didn't expect it to do that." Season tickets are $101 to $246, plus fees. Call 806-378-3096 or visit www.panhandletickets.com.